COLOR(S): Red, sable, fawn, or black and tan. Any of these colors can be with or without white makings on the legs. The Pembroke Welsh Corgi is a most agreeable small house dog with an affectionate nature. They have become closely associated with the British monarchy. They were highly popular in the 20th century among royalty. In 1933 the Duke of York obtained for his daughter a Pembroke puppy and they remained a royal favorite. They have also been owned by Queen Elizabeth II and King George VI. The Corgi is an intelligent and remarkably alert breed who is wary of strangers and makes a very good watchdog. Although known for their bark being worse than their bite, they do have a tendency to nip at the heels of people and this trait should be discouraged at a young age in order to remove it. The Pembroke requires companionship and without this may develop undesirable methods of seeking attention. Differences between the Pembroke and the Cardigan: The Pembroke has straighter legs; is not quite as long bodied; the head is generally more wedged-shaped; the ears are smaller and closer together; they are usually lighter; and they do not have a tail or as bushy a tail as the Cardigan. They are often born without a tail at all. They can often appear sprightly in character and are quite confident. Active and devoted, this little dog can be quite amusing in character and appearance at times. They get along with children and other pets, their sturdiness making them suitable companions for even large dogs. Pembroke Welsh Corgis are said to have the heart of a large dog in a dwarfed body, making them an ideal companion. Pembroke Welsh Corgis are active, alert and obedient. They are quick-witted, very intelligent and easy to train. They are fun-loving, love to be with their families, but can be stubborn. Pembroke Welsh Corgis are devoted, loyal, willing to please and quirky. They tend to bark a lot, however, and are prone to nipping at your heels in order to herd you. This can be overcome with training. Pembroke Welsh Corgis are also very good with children, and get along well with other pets. They can be stubborn or headstrong. They are sturdy, loving and handsome little dogs. Bi-weekly grooming with a comb or brush for about 10 minutes is needed for this breed. Bathe Pembroke Welsh Corgis only when necessary. Shedding is bi-annually, and brushing should be done even more during this time to remove dead hairs. Unfortunately, Pembroke Welsh Corgis are prone to slipped disks in the spine or intervertebral disc disease, hip dysplasia, degenerative myelopathy, epilepsy, bladder stones, hereditary eye diseases such as PRA (Progressive Retinal Atrophy) and obesity. Exercise is necessary to prevent weight gain, as this breed can become overweight easier than other breeds. Therefore daily walks are highly recommended, but play sessions should also do the trick. Very intelligent and not difficult to train. They are quite obedient. Apartment life is adequate for the Pembroke Welsh Corgi as long as sufficient exercise is provided. Keep in mind that they have a big bark and should not be left alone for long periods of time. 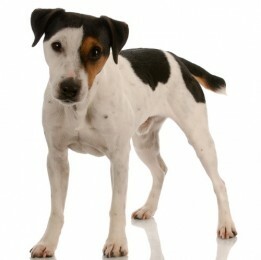 Owners should desire a busy, intelligent dog who is loyal and playful. The best owner for this breed would be an active family living in a suburban or rural home.